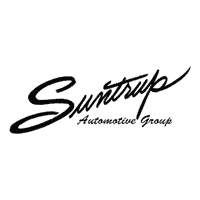 Finding and financing the right vehicle can be a stressful process, but it doesn’t have to be with Suntrup Automotive Group. Thanks to the rotating new vehicle specials at our St. Louis dealership, you can find a Nissan or Ford for a price that won’t over-stretch your budget. If you have any questions about our exclusive offers or new vehicle inventory, reach out to our team at your convenience. If you're shopping for a quality vehicle with perks such as a backup sensor, push button start, backup camera, parking assistance, Bluetooth, braking assist, hill start assist, stability control, traction control, and premium sound system, this 2018 Ford Fiesta Titanium may be the car for you. This one's available at the low price of $15,983. Want a 4 dr sedan you can rely on? This one has a crash test rating of 4 out of 5 stars! With a gorgeous silver exterior and a charcoal black interior, this vehicle is a top pick. Call today and take this one out for a spin! For more information on this vehicle, contact our Customer Care Team at 314-822-9300 Thank you for your time and your interest! May require Ford Credit Financing. May include aftermarket items not included in pricing. Residency restrictions apply. Price does not include $199 administrative fee. See dealer for complete details. Contact Information: Suntrup Ford Kirkwood, 10340 Manchester Rd., Kirkwood, MO, 63122, Phone: (314) 822-9300, E-mail: suntrupford2@salespont.dealerconnection.com. Buckle up for the ride of a lifetime! This 2018 Ford EcoSport SE includes a top-notch backup sensor, push button start, backup camera, parking assistance, Bluetooth, braking assist, hill start assist, stability control, traction control, and anti-lock brakes. We're offering a great deal on this one at $17,835. This one's a keeper. It has a crash test safety rating of 4 out of 5 stars. Exhibiting a timeless blue exterior and an ebony interior, this vehicle won't be on the market for long. Come see us today and see this one in person! For more information on this vehicle, contact our Customer Care Team at 314-822-9300 Thank you for your time and your interest! May require Ford Credit Financing. May include aftermarket items not included in pricing. Residency restrictions apply. Price does not include $199 administrative fee. See dealer for complete details. Contact Information: Suntrup Ford Kirkwood, 10340 Manchester Rd., Kirkwood, MO, 63122, Phone: (314) 822-9300, E-mail: suntrupford2@salespont.dealerconnection.com. With top features including the backup sensor, push button start, backup camera, parking assistance, Bluetooth, braking assist, hill start assist, stability control, traction control, and anti-lock brakes, this 2018 Ford EcoSport SE is a great decision. We've got it for $17,935. This crossover scored a crash test safety rating of 4 out of 5 stars. With a sharp gray exterior and an ebony interior, this vehicle is a top pick. Call today to test it out! For more information on this vehicle, contact our Customer Care Team at 314-822-9300 Thank you for your time and your interest! May require Ford Credit Financing. May include aftermarket items not included in pricing. Residency restrictions apply. Price does not include $199 administrative fee. See dealer for complete details. Contact Information: Suntrup Ford Kirkwood, 10340 Manchester Rd., Kirkwood, MO, 63122, Phone: (314) 822-9300, E-mail: suntrupford2@salespont.dealerconnection.com. The backup sensor, push button start, backup camera, parking assistance, Bluetooth, braking assist, hill start assist, stability control, traction control, and anti-lock brakes of this 2018 Ford EcoSport SE make this vehicle a true standout. This one's available at the low price of $17,935. This crossover is one of the safest you could buy. It earned a crash test rating of 4 out of 5 stars. Complete with a sharp silver exterior and an ebony interior, this vehicle is in high demand. Call today to schedule your test drive! For more information on this vehicle, contact our Customer Care Team at 314-822-9300 Thank you for your time and your interest! May require Ford Credit Financing. May include aftermarket items not included in pricing. Residency restrictions apply. Price does not include $199 administrative fee. See dealer for complete details. Contact Information: Suntrup Ford Kirkwood, 10340 Manchester Rd., Kirkwood, MO, 63122, Phone: (314) 822-9300, E-mail: suntrupford2@salespont.dealerconnection.com. People everywhere will love the way this 2018 Ford EcoSport SE drives with features like a backup sensor, push button start, backup camera, parking assistance, Bluetooth, braking assist, hill start assist, stability control, traction control, and anti-lock brakes. We've got it for $19,165. This safe and reliable crossover has a crash test rating of 4 out of 5 stars! Flaunting a charming white exterior and an ebony interior. Call and schedule your test drive today! For more information on this vehicle, contact our Customer Care Team at 314-822-9300 Thank you for your time and your interest! May require Ford Credit Financing. May include aftermarket items not included in pricing. Residency restrictions apply. Price does not include $199 administrative fee. See dealer for complete details. Contact Information: Suntrup Ford Kirkwood, 10340 Manchester Rd., Kirkwood, MO, 63122, Phone: (314) 822-9300, E-mail: suntrupford2@salespont.dealerconnection.com. You'll love the look and feel of this 2018 Ford EcoSport SE, which features a backup sensor, push button start, backup camera, parking assistance, Bluetooth, braking assist, hill start assist, stability control, traction control, and anti-lock brakes. This one's available at the low price of $19,165. Want a crossover you can rely on? This one has a crash test rating of 4 out of 5 stars! Flaunting a suave gray exterior and an ebony interior. Interested? Call today and schedule a test drive! For more information on this vehicle, contact our Customer Care Team at 314-822-9300 Thank you for your time and your interest! May require Ford Credit Financing. May include aftermarket items not included in pricing. Residency restrictions apply. Price does not include $199 administrative fee. See dealer for complete details. Contact Information: Suntrup Ford Kirkwood, 10340 Manchester Rd., Kirkwood, MO, 63122, Phone: (314) 822-9300, E-mail: suntrupford2@salespont.dealerconnection.com. You'll love the look and feel of this 2019 Ford Escape SE, which features a push button start, remote starter, backup camera, Bluetooth, braking assist, dual climate control, stability control, traction control, anti-lock brakes, and dual airbags. We're offering a great deal on this one at $20,041. With a crash test rating of 5 out of 5 stars, everyone can feel secure. Flaunting a classic dk. gray exterior and a gray interior, this car is a sight to see from the inside out. Call today to schedule your test drive! For more information on this vehicle, contact our Customer Care Team at 314-822-9300 Thank you for your time and your interest! May require Ford Credit Financing. May include aftermarket items not included in pricing. Residency restrictions apply. Price does not include $199 administrative fee. See dealer for complete details. Contact Information: Suntrup Ford Kirkwood, 10340 Manchester Rd., Kirkwood, MO, 63122, Phone: (314) 822-9300, E-mail: suntrupford2@salespont.dealerconnection.com. Don't miss out on this 2019 Ford Escape SE! It comes with a push button start, remote starter, backup camera, Bluetooth, braking assist, dual climate control, stability control, traction control, anti-lock brakes, and dual airbags for an even better ride. This one's a deal at $20,041. You can trust this SUV because it has a crash test rating of 5 out of 5 stars! Rocking a stunning dk. gray exterior and a gray interior, this car is a great pick. This is the vehicle for you! Give us a call today and don't let it slip away! For more information on this vehicle, contact our Customer Care Team at 314-822-9300 Thank you for your time and your interest! May require Ford Credit Financing. May include aftermarket items not included in pricing. Residency restrictions apply. Price does not include $199 administrative fee. See dealer for complete details. Contact Information: Suntrup Ford Kirkwood, 10340 Manchester Rd., Kirkwood, MO, 63122, Phone: (314) 822-9300, E-mail: suntrupford2@salespont.dealerconnection.com. After you’ve taken a look at our new vehicle specials online, test drive your favorite with a visit to our dealership near . Our team is standing by, ready to walk you through the car-buying process and find a new vehicle that’s perfect for you. You can also estimate your monthly payments with our auto finance calculator!